If you missed part 1 or 2 of this trip report, click on the corresponding number to catch up. If you missed our Japan trip report, click here. Our first full day at DisneySea started similarly to our previous day at Disneyland – with a bunch of rides. We got FastPasses for Tower of Terror, rode Journey to the Center of the Earth and then went on the other attraction in the land – 20,000 Leagues Under the Sea. 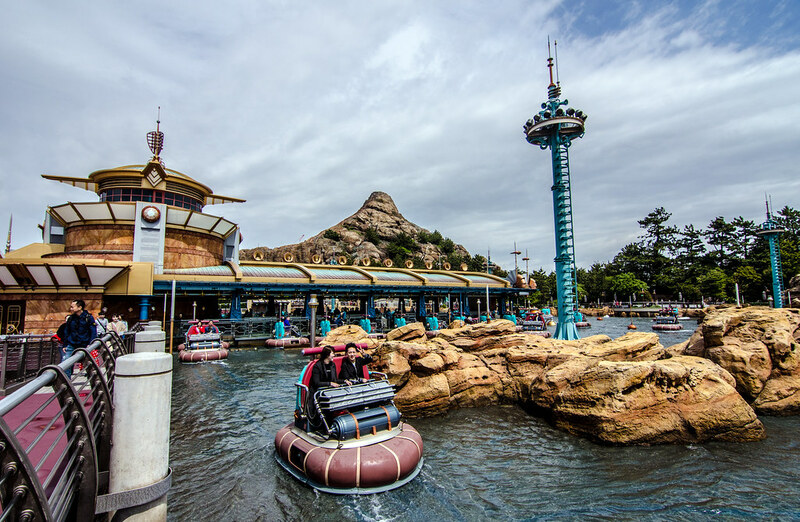 Unlike the old Disney World and Disneyland version of this attraction, guests don’t go in actual submarines but instead in these ride vehicles. I liked the change as this wasn’t nearly as cramped or claustrophobic. These also don’t go underwater but gives the illusion that they do. 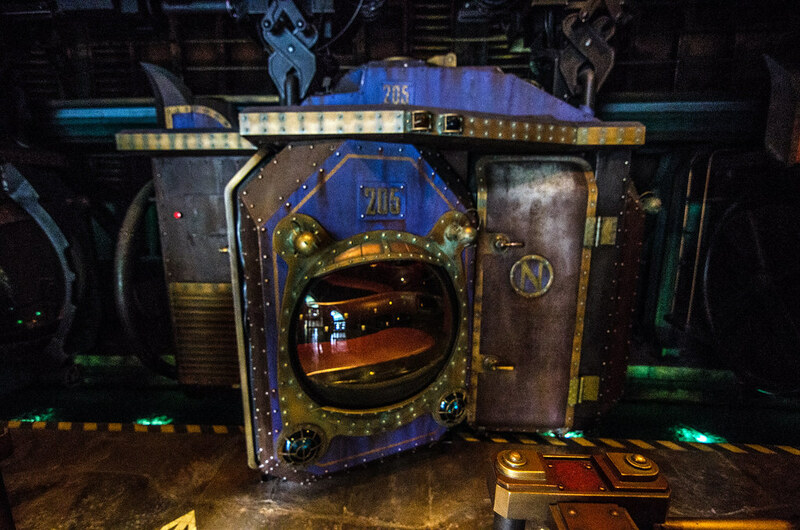 20,000 Leagues is a fun attraction and a bit interactive as guests search for undersea items with a movable light. I really like the look of it and thought the attraction fit extremely well in Mysterious Island. 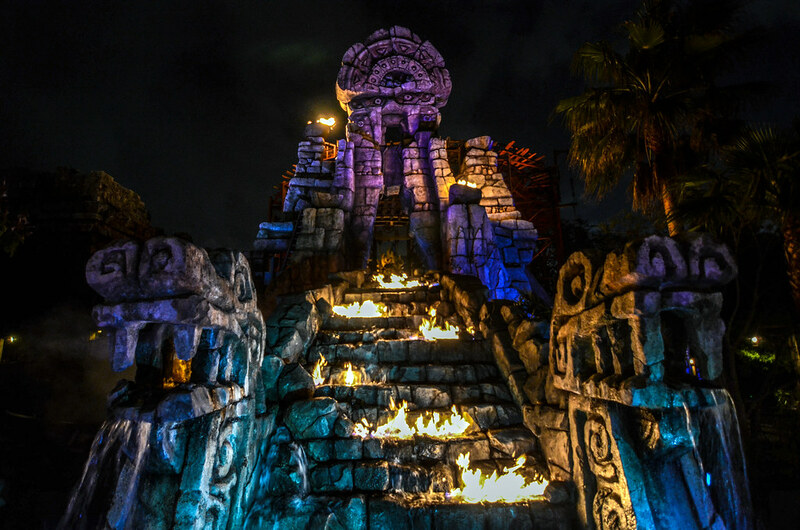 From there, we went to Indiana Jones Adventure: Temple of the Crystal Skull which resides in the Lost River Delta. The attraction fits in the land, as the ride building is a beautiful pyramid rising out of the rain forest. 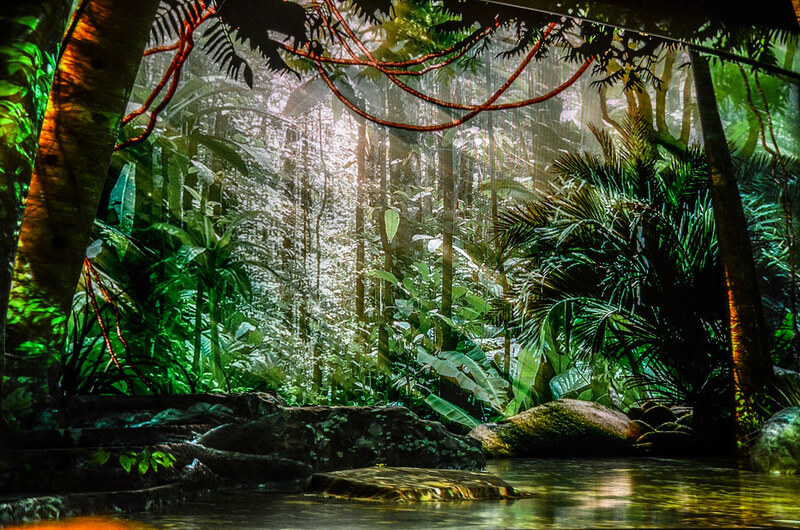 The area invokes a Central or South American vibe with more vegetation than the rest of the park. Indiana Jones Adventure isn’t an exact copy of the Disneyland version but it is pretty close. Having said that, it is well worth a ride. After Indy came Raging Spirits, a roller coaster that’s original to DisneySea. 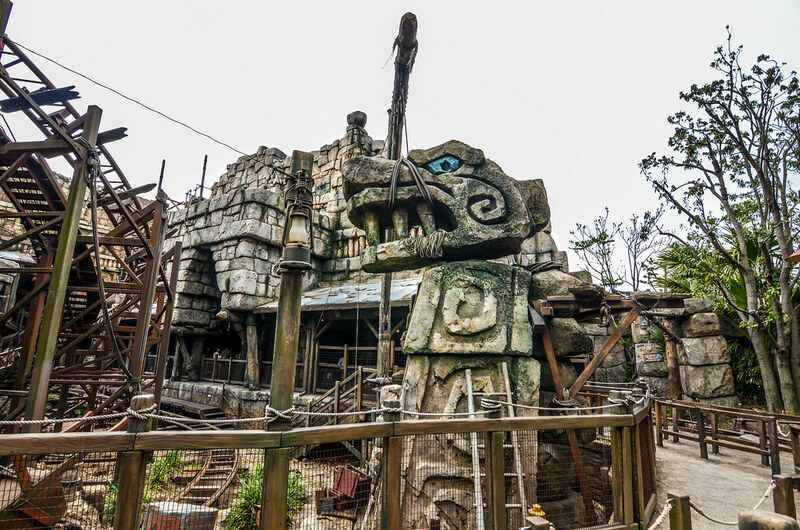 This is also in the Lost River Delta and looks fantastic. The ruins and statues fit in well with the area. Unfortunately, it looks so good that it oversells the attraction. Raging Spirits has a loop in the middle of the ride but otherwise is very slow-moving, like a small roller coaster. Our group kept remarking about how we didn’t think we’d make it through the loop because we were going so slow. It’s a beautiful area but the actual ride is one of the worst in the park. By then our FastPasses for Tower of Terror were up so we walked across the park to get there. Typically, I’d recommend a touring plan that doesn’t involve going all the way across the park so early in the day. DisneySea is different though in that half the allure of the park (probably more than half) is the atmosphere. Walking all the way through it in the morning, before it became more crowded, was very pleasant and worth our time. 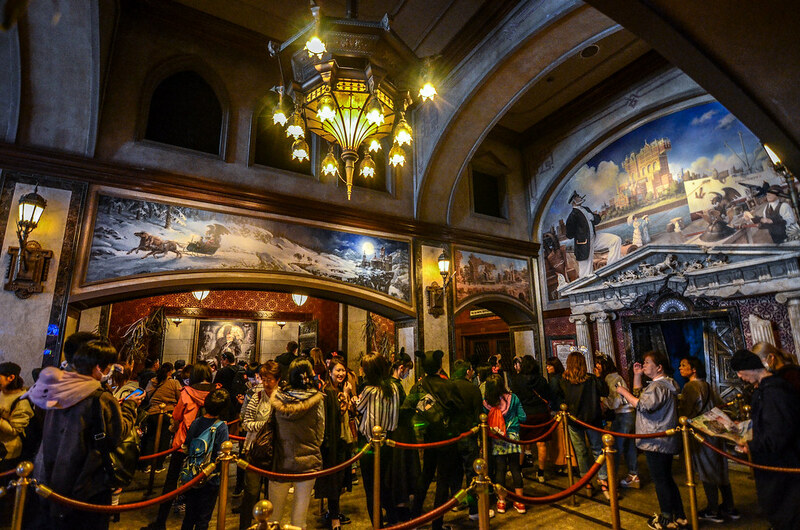 Tower of Terror at DisneySea is different from the version stateside. The Twilight Zone is not known in Japan so the ride has an original story based around the character Harrison Hightower. 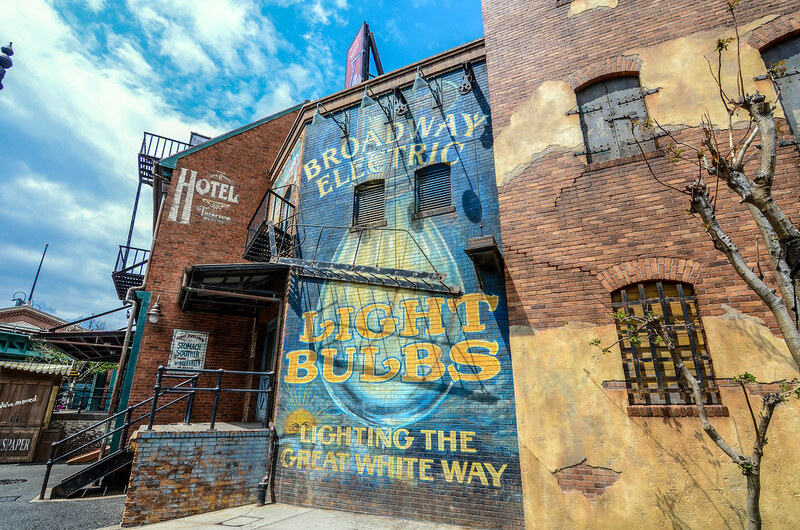 Hightower owns this hotel, that sits in the American Waterfront, and is a collector. He has many adventures and has collected a small museum of items, many of which sit in storage by the elevator. Eventually, greed becomes Hightower’s downfall as he takes a Tiki-statue that he shouldn’t have and that ends up haunting his hotel. The dialogue is all in Japanese but this wasn’t a hard story to keep track of because the beautiful visuals and details. While the ride system isn’t as impressive as that of Hollywood Studios, I preferred this version because of virtually every other aspect. 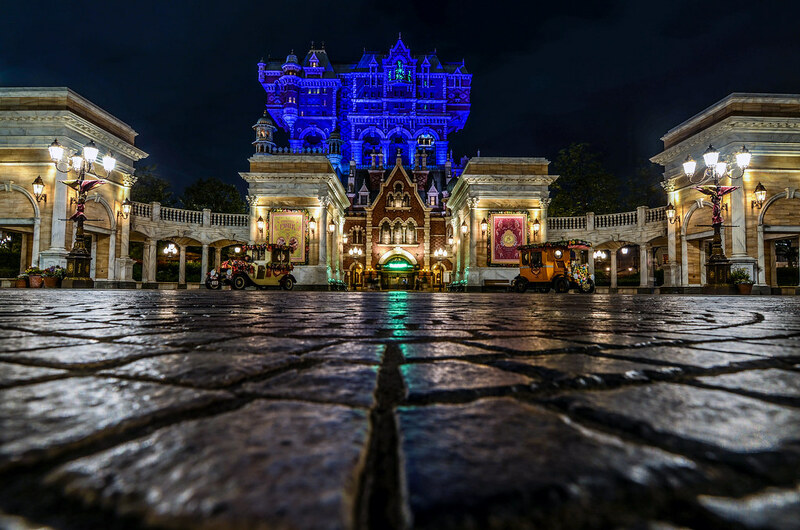 The original story is fascinating, the facade is stunning and I thought the upkeep of the attraction was wonderful. After our haunted ride, we walked over to Toy Story Mania to see if there were any FastPasses left. The attraction wasn’t much of a priority for us as the actual ride is an exact replica of the American versions. 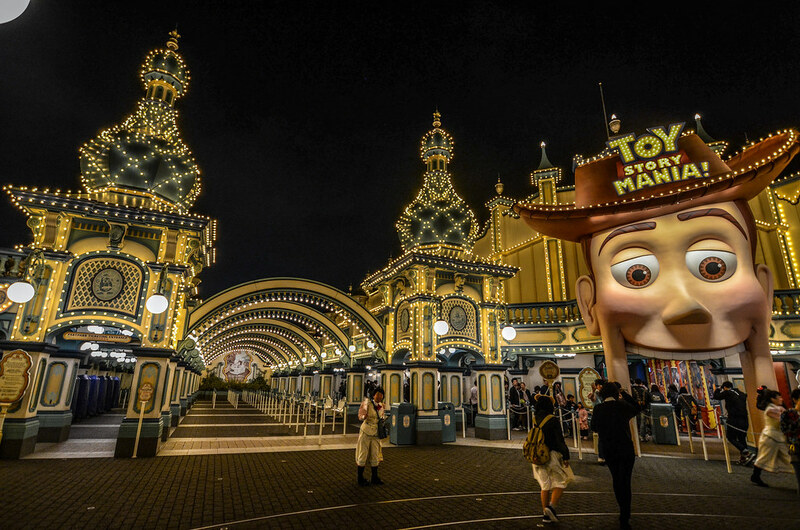 Toy Story Mania is DisneySea’s most popular attraction so we were pleasantly surprised to find that there were FastPasses available for that night. We got our Fastpasses and then strode around the American Waterfront, grabbing a snack along the way. 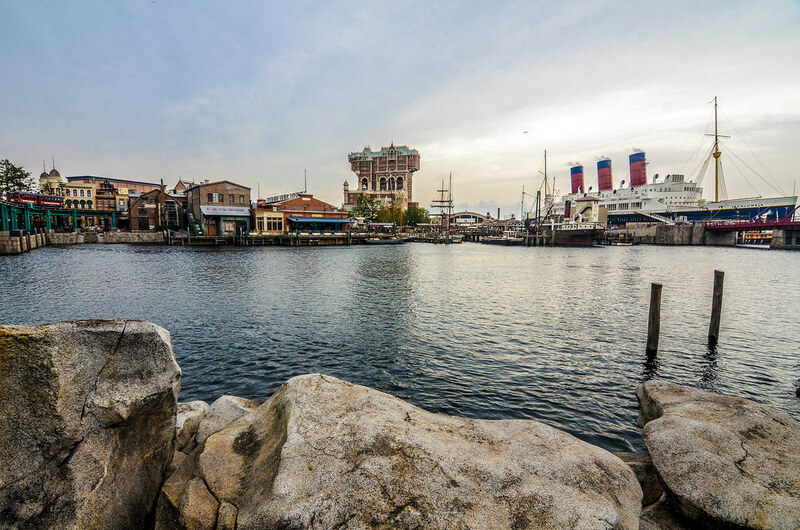 The American Waterfront is an astounding land based on late 1800’s New York. Brick buildings abound and a giant steam ship, the S.S. Columbia, looms over the land along with the Tower of Terror. This Port-of-Call invokes the bustling spirit of the Industrial Age, with interesting modes of transportation abound. One of those modes of transportation is the Electric Railway that chugs from the American Waterfront to Port Discovery and vice versa. 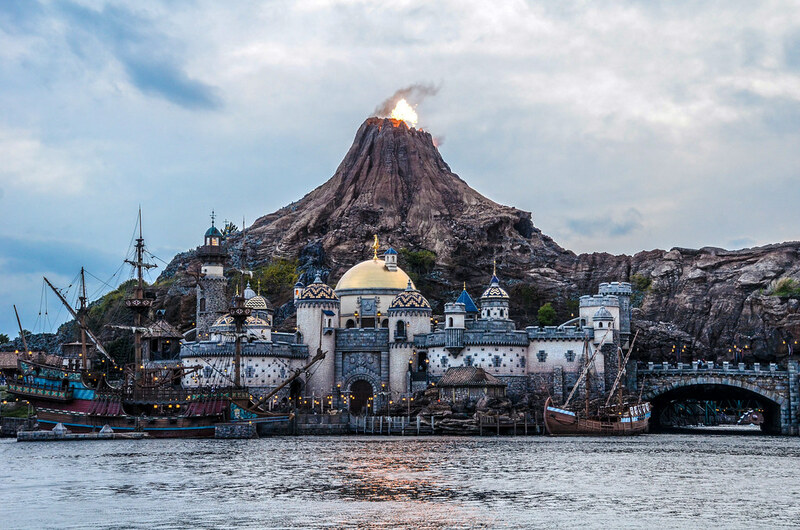 While the ride is simply a way to get from one place to another, it is beautiful and offers outstanding views of either the ocean or DisneySea. Modes of transportation in theme parks are important to the park’s energy. Much like water, without some form of movement I think a land can become stale. 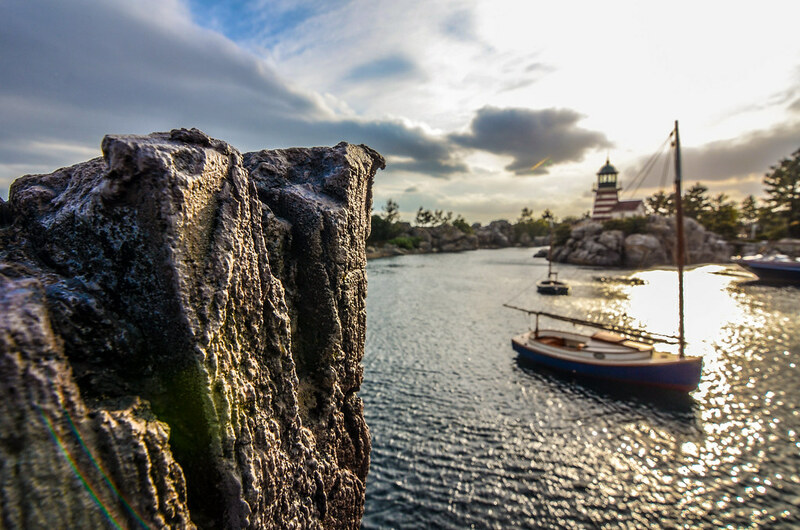 This is another aspect of what makes DisneySea so alluring. 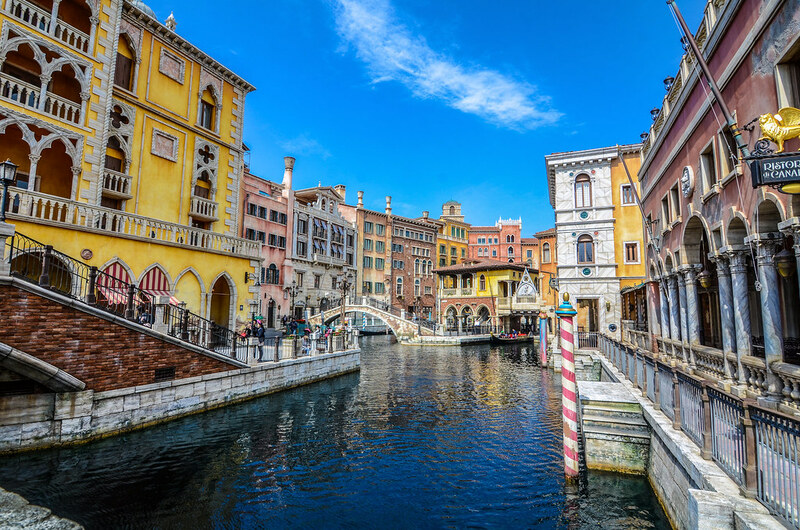 There is movement in every land via both water and transportation. Most lands had boats going to them but the Electric Railway was an excellent way to add kinetic energy. 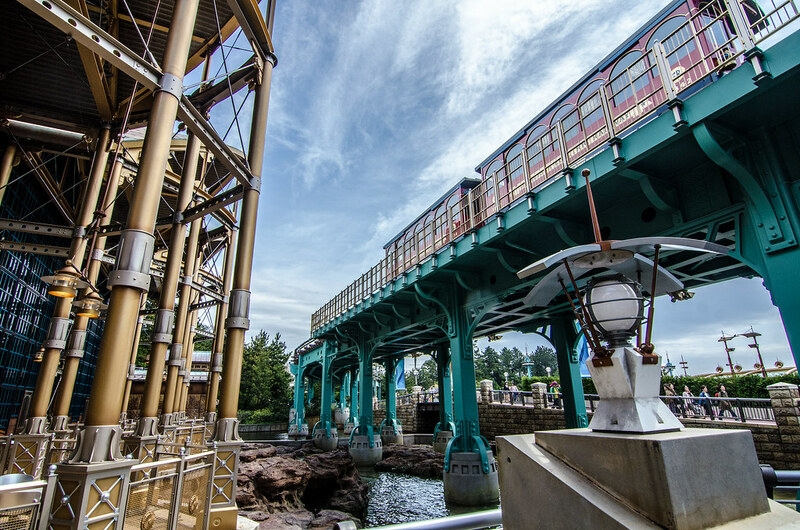 Port Discovery is DisneySea’s smallest land in terms of footprint but it packs a punch. 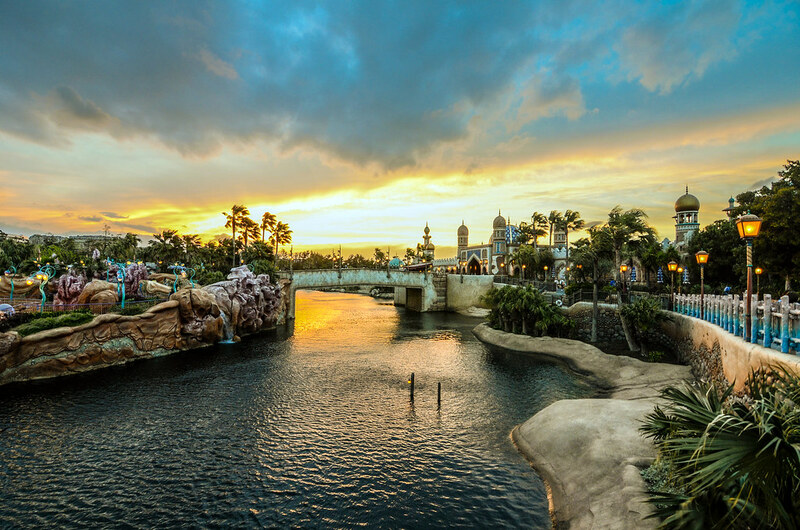 This port uses a very similar color scheme to the connected Mysterious Island, making them feel like distant cousins. 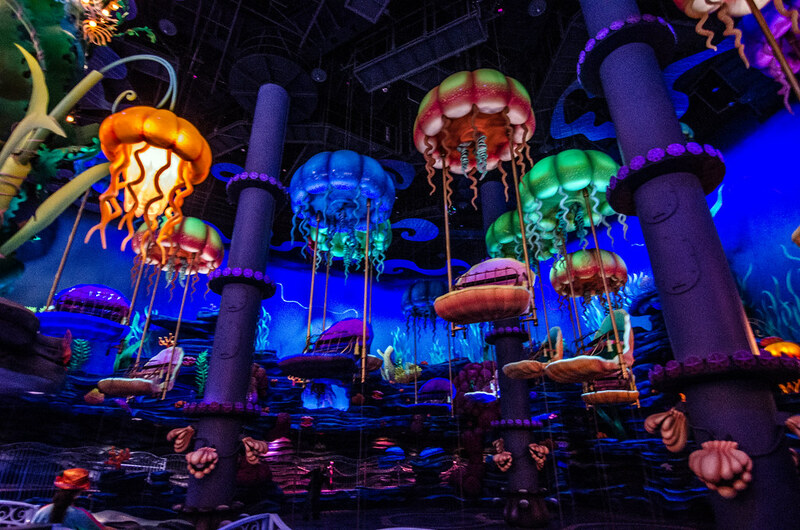 Port Discovery offers 2 attractions, Aquatopia and Nemo & Friends SeaRider. Aquatopia (seen above) is a trackless ride system in the water where these bumper boat-shaped ride vehicles speed and spin around the track. It’s a largely unassuming ride but is a boatload (pun intended) of fun. After riding Aquatopia, we got SeaRider FastPasses and headed off for lunch in Mediterranean Harbor. 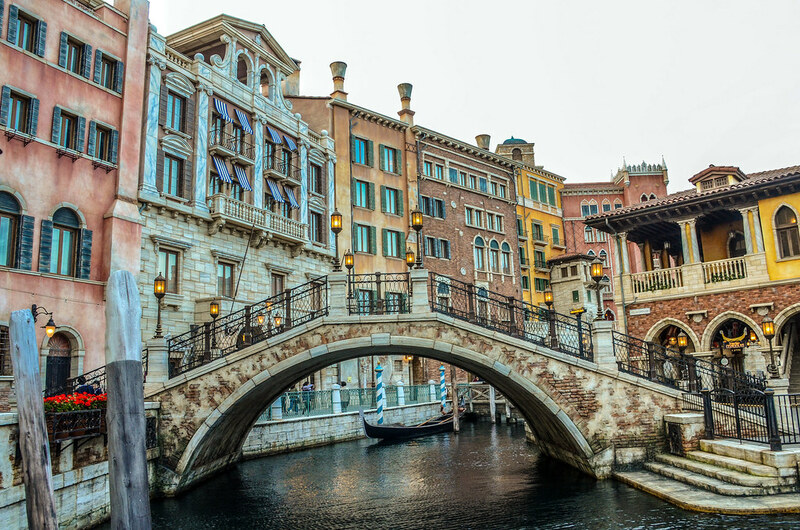 We ate at the sit-down location, Ristorante di Canaletto. I’ll get to a review in the future but the restaurant offers pizza and pasta that we all enjoyed. The building is absolutely beautiful and the outside seating offers outstanding views. Unfortunately, that day was quite windy so no one was sitting outside but I would recommend it if available. 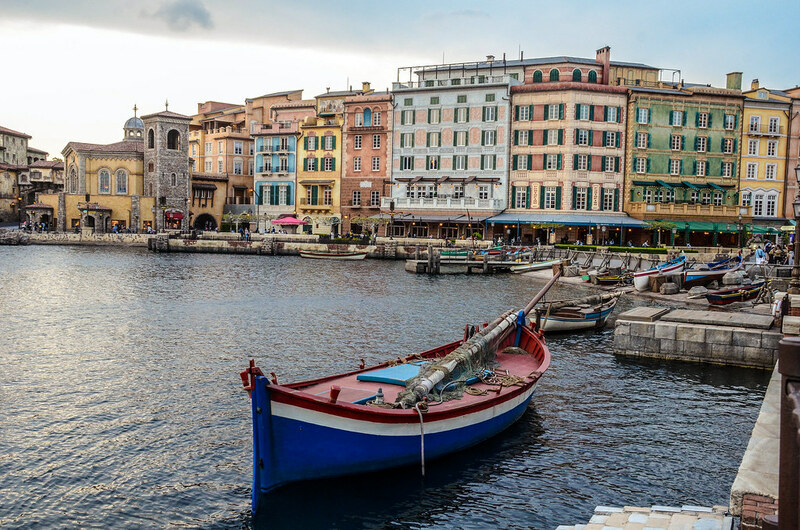 The colors in Mediterranean Harbor are breathtaking and that day offered beautiful blue skies to match the bright buildings. 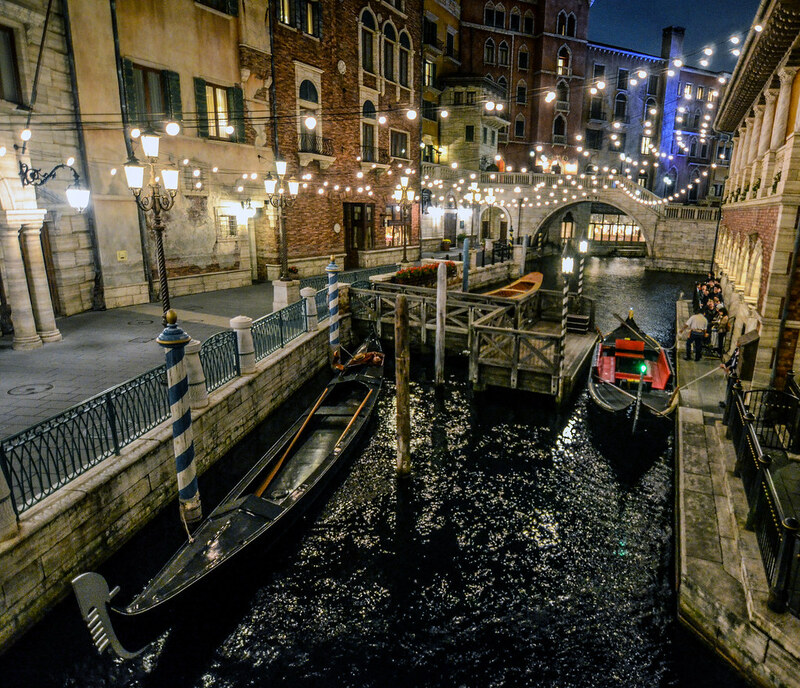 We had planned to ride the gondolas that afternoon, and then again that night, but both instances were too windy so the ride was down. Wandering these narrow back streets are worth a few minutes though as they are completely transportive. With the gondolas closed, we walked around Fortress Explorations which is an interactive area to walk around and explore. This lies in and around the castle that sits at the base of Mount Prometheus. As Melissa describes this walk-around attraction, it’s like Tom Sawyer Island only way more awesome. Every building has some sort of exhibit, like an interactive museum. 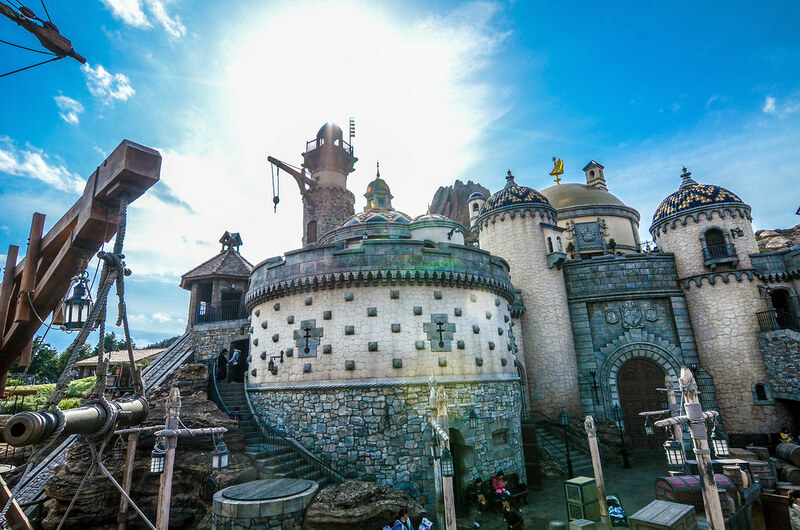 In front of the castle sits a big pirate ship that guests can walk around and explore. 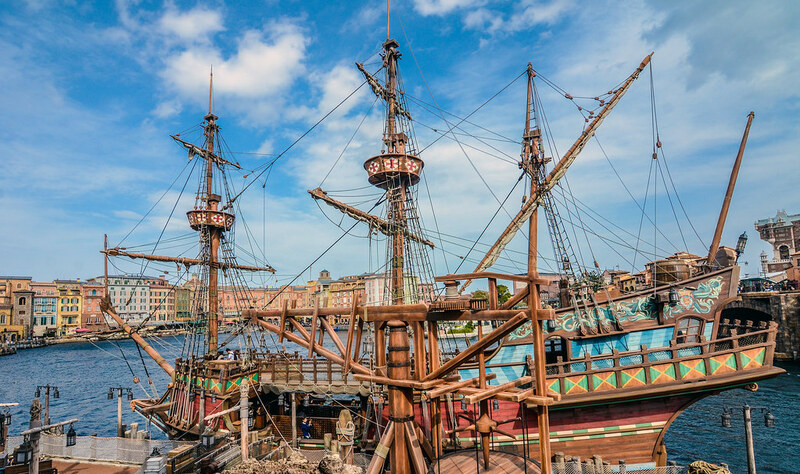 Walking around the ship offered beautiful views, although those exist everywhere in DisneySea. 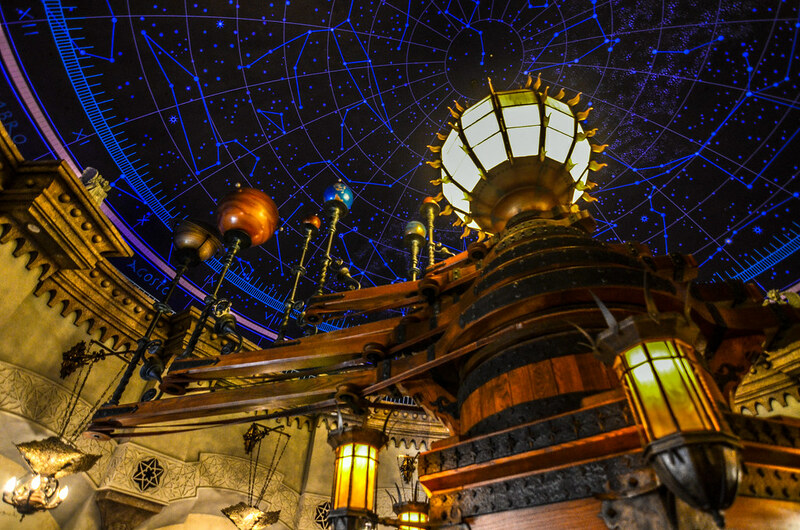 My favorite part of Fortress Explorations, and it’s hard to pick a favorite, is a planetarium where guests can move around the planets with a wheel. The room is a stunning blue and I can’t believe that it’s in a theme park instead of a museum. Fortress Explorations is an astounding attraction that Disney doesn’t seem to really make anymore. It’s part science center, part playground and has incredible architecture. 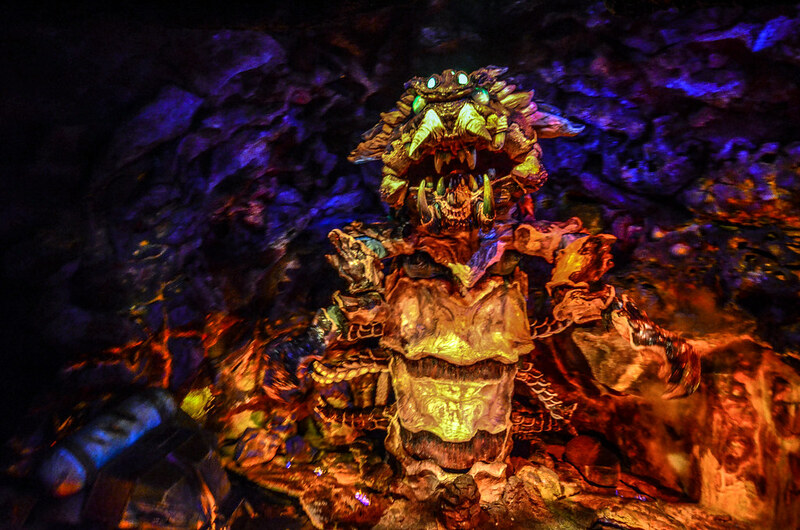 The attraction isn’t a ride but it’s not to be missed, being one of my favorite parts of DisneySea. After spending plenty of time exploring, we walked over to Lost River Delta and watched Out of Shadowland. This is a stage show about a girl, Mei, who feels disconnected to the group she goes camping with and ends up lost in the woods. She connects with nature and the story goes from there. I was impressed with the projection mapping, singing performances (which are live), and acrobatics in the show. While the dialogue is all Japanese, the story was easy to follow and quite touching. The finale is spectacular. If you have more than one day at DisneySea then I would definitely recommend the show. If not, then it’s a toss up. If you are looking for a nice place to relax for a while and see a very good show then this is a great option. After the show we walked back along the south side of the park, which is parallel to the ocean. This path led through Port Discovery and back to the American Waterfront, passing through Cape Cod. As I mentioned, most of the American Waterfront is themed to New York but there is a smaller section that is based on Cape Cod. This is a beautiful area to walk through, with a lighthouse and smaller boats strewn across the water. Cape Cod doesn’t have many attractions in it. There is a quick-service restaurant that also serves as a Duffy meet & greet. Otherwise the area centers around the beautiful view seen above. We made our way to the S.S. Columbia, the gigantic steam ship in American Waterfront. This ship houses a restaurant, Turtle Talk with Crush and the Teddy Roosevelt Lounge. We were there for the lounge and ended up loving it. The Teddy Roosevelt Lounge is an ode to the former president. Full of rich, dark wood, the lounge has a masculine feel with photos and relics of Roosevelt’s hunting trips and expeditions. They also have portraits of his family and some other great details. 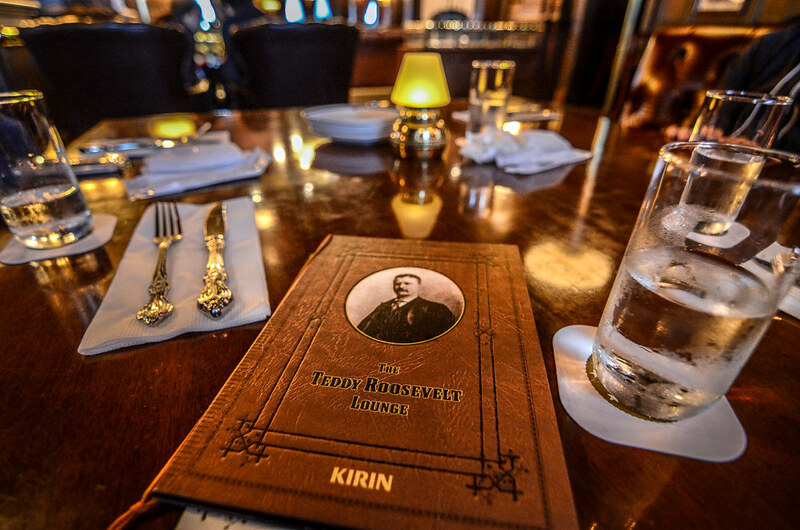 The Teddy Roosevelt Lounge feels incredibly authentic, another feather in the American Waterfront’s hat. We all had drinks and got a few snacks to have. The food was good but secondary to the remarkable lounge. I have no clue why this restaurant doesn’t exist in America. It would immediately be the best lounge in any of the U.S. Disney Resorts. I recommend this spot for lunch or an afternoon snack when feet get tired. We spent the early evening wandering Mediterranean Harbor and the front of the park, trying to ride the gondolas again but it was too windy. Here are some photos. We made our way back to the Arabian Coast around sunset, which was quite pretty. 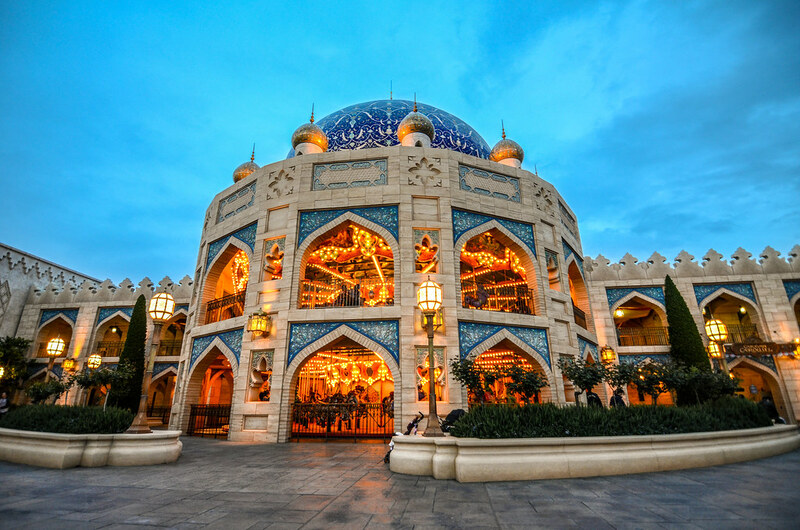 As you enter the Arabian Coast there is a big courtyard, showcasing beautiful architecture and grand buildings. Inside of that courtyard is a double-decker carousel and the Magic Lamp Theater. It’s a nice place to linger and everyone knows that a carousel with an upper deck is superior to a normal carousel. Moving back through the Arabian Coast, the port-of-call turns from a courtyard into a marketplace. The streets get narrow with shops and games to explore. 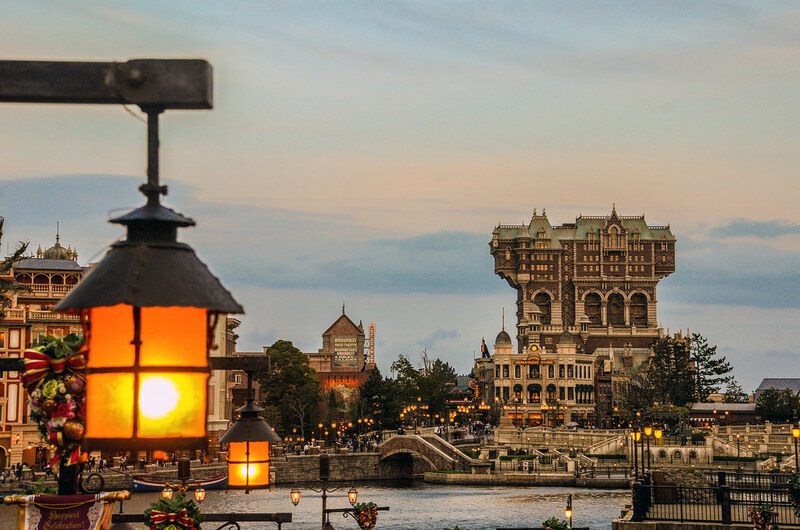 Toward the back of Arabian Coast is one of my favorite snacks in DisneySea, the Chandu Tail. This is a pastry filled with chicken curry and it was absolutely delicious. At the very back of the land lies Jasmine’s Flying Carpets and Sinbad’s Storybook Voyage. The former is just a typical spinner ride, albeit a vibrant fitting one. 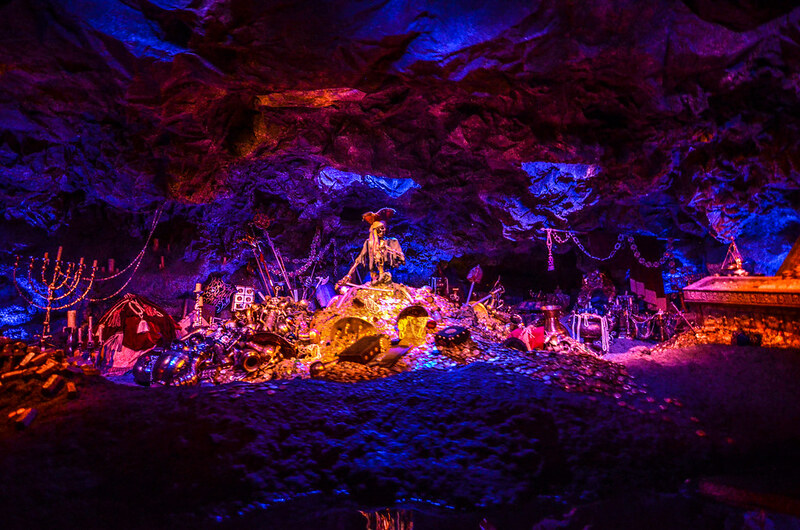 Sinbad’s Storybook Voyage is anything but typical, even with a rather unassuming facade. Sinbad is a slow dark ride where guests travel by boat to follow Sinbad’s journey. The ride deserves its own post but I would go as far as to say that it’s currently Disney’s best dark ride. The story is wonderful and intricate, though fairly easy to figure out even with the dialogue in Japanese. There is an original song that plays throughout the ride that is beautiful and catchy. Along with that, there’s a huge amount of animatronics, all in splendid condition. 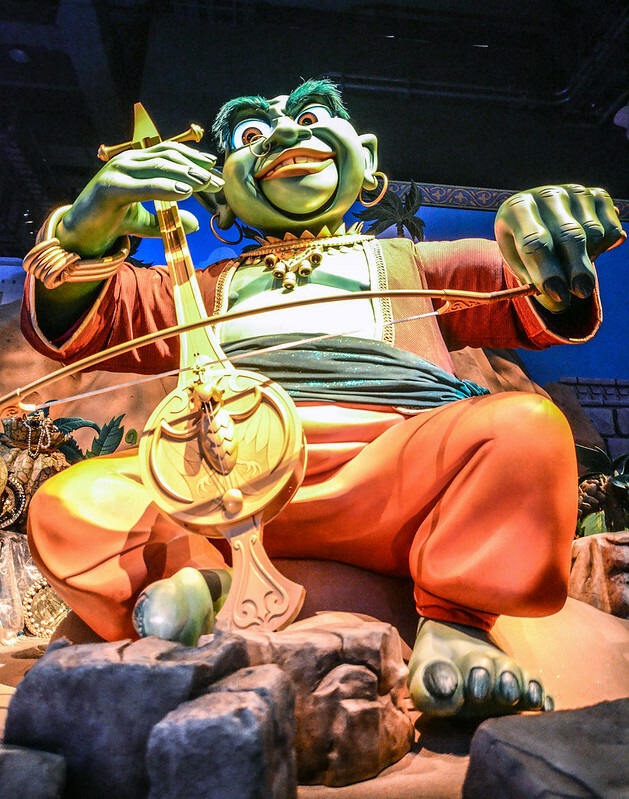 At first, Sinbad’s Storybook Voyage feels like an average ride. As it goes, all the factors combine to turn it in to something much more. We took the short walk over to Lost River Delta after the attraction and ate dinner at Miguel’s El Dorado Cantina. This was a Mexican food counter-service restaurant that wasn’t all that great. I would recommend a few other restaurants over this one. After dinner, the park had really cleared out (not that it was very crowded in the first place) so we were able to do a bunch of attraction, some with FastPass, some without. Those included some of the hits like Journey to the Center of the Earth, Tower of Terror, and Toy Story Mania. I’m happy to report that I was the winner of Toy Story Mania that night in a hard-fought match (but Melissa has won the past 3 times in Disney World – don’t you love it when I edit?). While the actual Toy Story Mania ride was a copy, the queue was more interesting and well designed. On top of that, the area surrounding it was fun. Called Toyville, the area is reminiscent of Coney Island which is fitting considering the New York based land right around the corner. Toyville is especially beautiful at night. We also rode Nemo & Friends SeaRider somewhere in there which is a simulator attraction that ‘shrinks’ guests down to fit inside of some strange robot fish and then swim around the ocean. It was a pretty fun attraction but not anything mind-blowing. I’m not a huge fan of simulator attractions in the first place so it may be a difference in opinion. Before closing, we went over to Mermaid Lagoon to enjoy the more juvenile attractions. If staying until close, this is definitely an opportune time to do this if you have already done the major attractions. There was next to no one in the area and we had our pick of attractions. Cast Members seemed both surprised and excited that we were there. 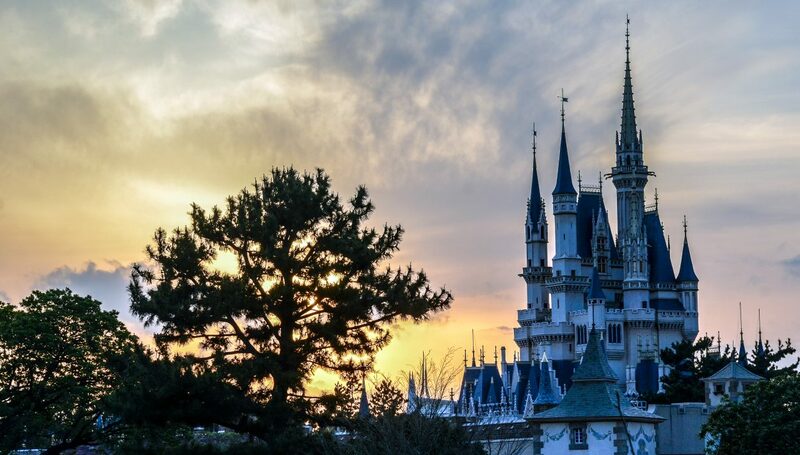 While the rides aren’t exciting for adults in the area, it looks very nice in there and they hide the little kid area inside of a magnificent castle. Other parks should do that. After riding all of those rides in about 15 minutes, we split up. I went to take photos and the others went to get in another ride or two and then shopped. I had a decent amount of luck taking photos before my camera battery died. Here are a few favorites. We went back to the hotel about half an hour after closing and crashed pretty hard. The goal for that first day was to get in as many rides as we could and we succeeded. Even having done that, there was plenty of time to explore the most beautiful park in the world. The next day had us up and about for Disneyland’s opening. 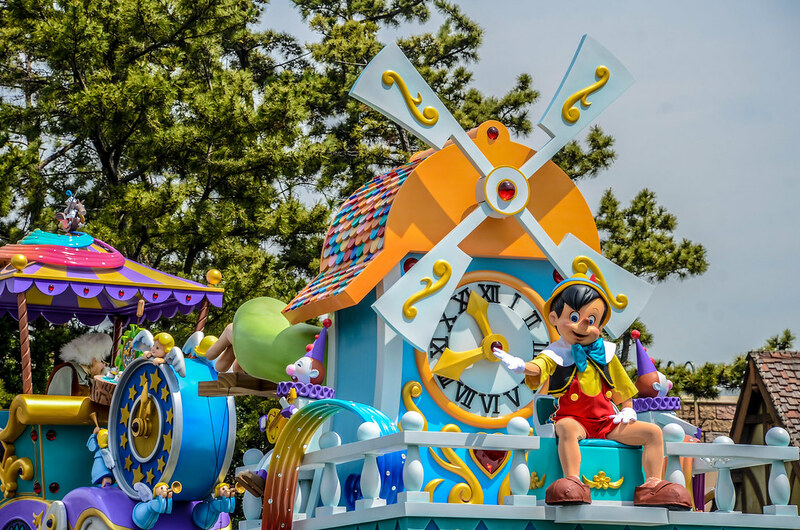 Like any other Disney Resort, being at the parks at opening in Tokyo certainly gets you on the most rides possible. We rode several that morning, including Monsters Inc. Ride & Go Seek, Space Mountain, Splash Mountain and Pirates. Eventually, we headed over to Roger Rabbit Rabbit’s Cartoon Spin in Toontown. This was one of the few rides we hadn’t done on our first day there and we enjoyed the attraction, although it is mostly the same as Disneyland’s. The queue was more elaborate and enjoyable. Toontown is where we wanted to be for the morning showing of Dreaming Up, so we settled in after our ride. I decided to go get a drink instead of sitting in a puddle of sweat (it was a little hotter that day) and left the others sitting. 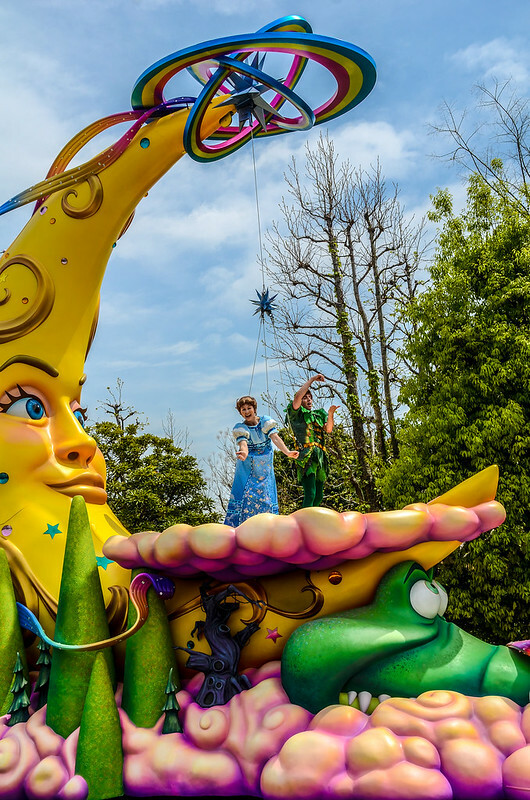 The parade came around before long (it ends in Toontown) and I thoroughly enjoyed watching it over there. I had a big lens on my camera but the guy behind me had a huge one. This made for good photos, as many of the performers would look our direction. Unfortunately, this meant Mackenzie, who was standing in front of us, was bumped routinely by camera lenses throughout the parade. Not to worry though, I always blamed it on the other guy! I’ve spent plenty of time recounting Dreaming Up on this blog so I won’t do it again. Here’s one more set of photos though! To continue on to part 4, click here! 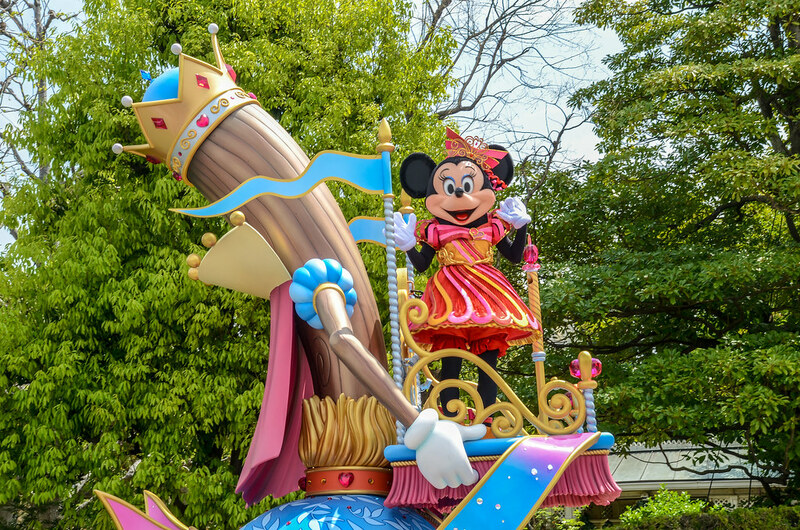 We’ll pick up our next installment after the parade and into the next day at DisneySea. Thank you for reading and let us know if you have any questions or thoughts! You can do that below in the comments. If you enjoy what you’re reading please subscribe to the blog and like our social media pages, all of which you can find on the right side of this page. Have a great day! 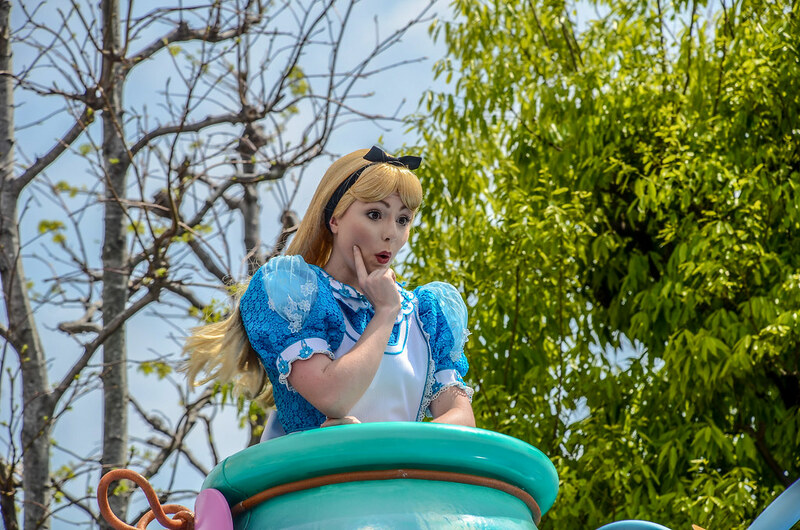 You are doing a favorite rides list after your trip report?